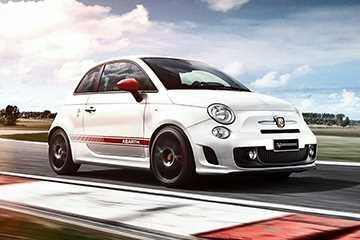 Recently Fiat 500 series launched the Abarth 595 Turismo and 595 Competizione models. Further continuing the expansion, Fiat launched a new range in Britain called the “Color Therapy.” This edition will be available in both, hatchback and convertible body type, with two engine options of 0.9-litre TwinAir along with a 1.2-litre mill. The 5 colors are New Age Cream, Pasodoble Red, Countrypolitan Yellow, Tech House Grey and Volare Blue. The new trim stands between the 500 Pop and Lounge with its specifications. Commenting on the same, Fiat said that the new trim level was designed to bring the 1970s spirit back with its vibrant colors and retro white detailing. The Color Therapy edition will start at a price of £10,760 which is nearly Rs. 9.44 Lakh for the 1.2 Color Therapy. The 500C 0.9-litre TwinAir will come at £14,510 which amounts to Rs. 12.72 Lakh. The Marketing Director, Fiat Group Automobiles UK, Elena Bernardelli, said that with this special edition and stylish new colors, the Fiat 500 will become an even more attractive proposition for Fiat customers.